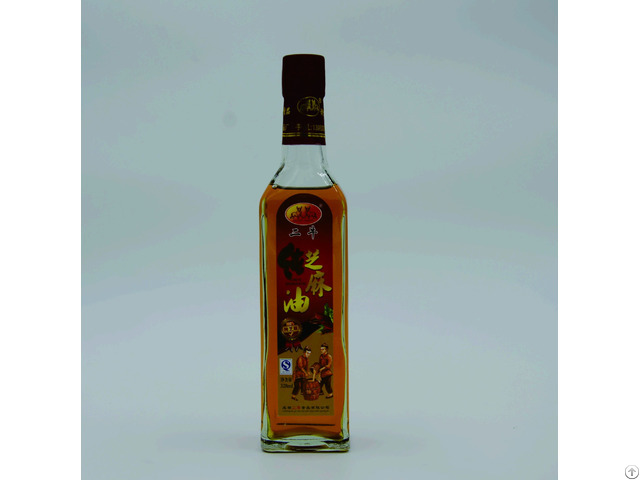 We supply "Double Bull" pure sesame oil. We are a producer. "Double Bull" is our company brand. We will conclude a contract with a customer. "Double Bull" brand sesame oil series, with choosing excellent sesame seeds and using the traditional craftsmanship, will provide a genuine and comfortable flavor, thus the green healthy sesame oil is perfect seasoning for delicacy. Business Description: Sichuan Medicines & Health Products Import and Export Corporation (SCMEHE), a wholly state-owned company founded in 1987, is now under Sichuan Provincial Foreign Trade Group Co., Ltd., one of the 25 large-scale key enterprises authorized by the State-owned Assets Supervision and Administration Commission of Sichuan Province (SASAC). In addition to the business of traditional Chinese medicines and health products, the company, in recent 20 years, has also been engaged in herb extract, natural food, seasoning oils, medical consumables & devices, light industrial & textile products, precise instruments, mechanical & electronic products and complete sets of mechanical equipments. For a long time, the company has been engaged in supplying high-class imported inspecting & testing instruments and integrated medical equipments to local governmental departments, scientific institutions, hospitals, colleges & universities and manufacturers. SCMEHE has been confirmed as a key supplier by above business partners. SCMEHE is one of the designated import agents of SCEI (Sichuan Energy Industry Investment Group Co., Ltd. ). The company is authorized as one of the first comprehensive foreign trading companies by Sichuan province, and is able to offer professional, considerate, all-sided import & export service to all customers. Now SCMEHE becomes a comprehensive foreign trading company which conducts its own trade and acts as an agent for importing and exporting of different kinds of commodities & technology. With the development of markets, while focusing on the quality of business services, the company has also established some production bases for stable exports. The company has some joint-ventures, such as Kerry Oils & Grains(Sichuan) Industrial Ltd. and Yihai (Guanghan) Oils, Grains and Food stuffs Co., Ltd. cooperated with Yihai Kerry Group, Sichuan Chuancun Traditional Chinese Medicines Co., Ltd. cooperated with Tsumura Co., Ltd. Japan, and Guangsong Pharmaceutical Co., Ltd. cooperated with Matsuura Pharmaceutical Co., Ltd. Japan. Their products are exported to Japan, Europe, U.S.A., Australia, Hong Kong, Taiwan and other places. Their excellent quality won good reputation from foreign consumers.